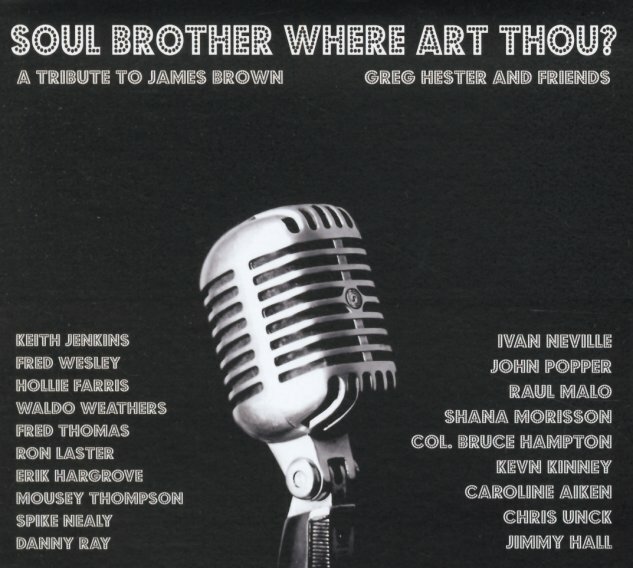 Singer Greg Hester pays tribute to the late Godfather – and does so in a nice way that moves things past the usual! There's definitely plenty of funk in the music – and the band also includes some of James' old bandmates too – but Greg's got a nice blue-eyed soul approach, maybe a bit like Van Morrison at times – which makes for a record that's very much his own, rather than a slavish copycat of the legend. Fred Wesley plays plenty of strong trombone leads on the record – and the set also features guest appearances from Ivan Neville, Shana Morrison, Col Bruce Hampton, Caroline Aiken, Jimmy Hall, and others. Titles include "Try Me", "Think", "There Was A Time", "Open The Door", "Lickin Stick", "Soul Power", and "Get Up Offa That Thing". © 1996-2019, Dusty Groove, Inc.